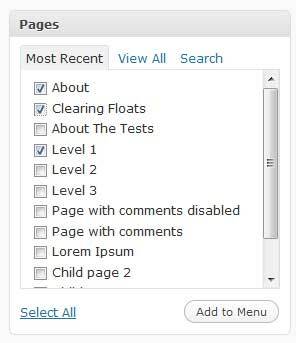 My favorite feature of WordPress 3.0 is “Custom Menus”. I have integrated this awesome feature in my all themes Chip Zero, Chip Life and Chip Photo. 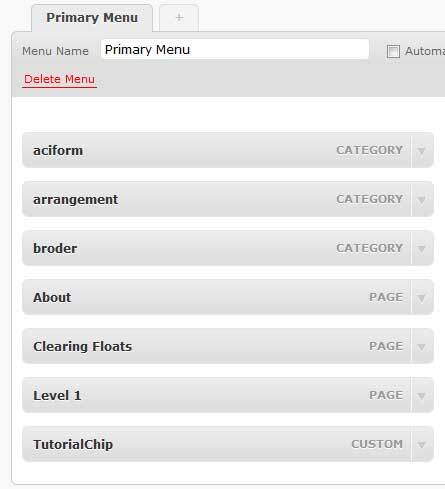 I have received a number of mails about the usage of Custom Menus, so i am going to write a detailed tutorial about WordPress 3.0 Custom Menu Power. 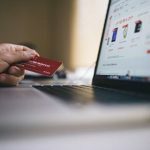 I am using my theme Chip Zero as a tutorial model, but this tutorial will help you to setup WordPress custom menus in any theme which has built in support of them. 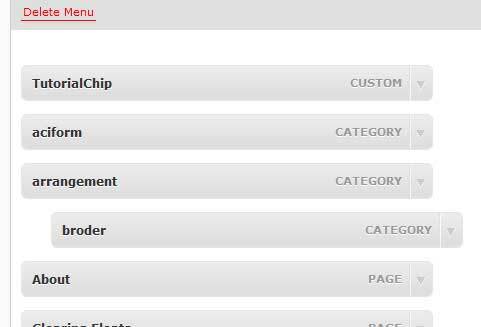 This is the default screen shot of Chip Zero after activating it from the Themes panel in Appearance tab. Different themes may have different menu locations, as Chip Zero has two menu locations i.e Primary Menu and Secondary Menu. You will see my favorite and the powerful screen of WordPress Menus management after getting click on Menus link. Enter your first menu name in the “Menu Name” text box. I will enter Primary Menu. Click on “Create Menu” button. 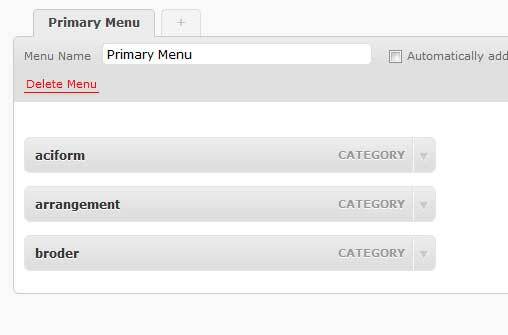 We have successfully created our first WordPress custom menu named “Primary Menu”. 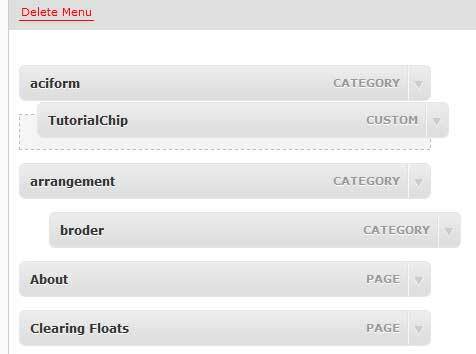 Now it is time to build our Primary Menu by adding pages, categories or custom links. I am going to add three different menu items in our primary menu for the sake of clarification. 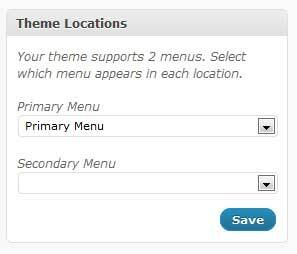 WordPress will add these categories in the Primary Menu after hitting “Add to Menu” button. You will see like that. Thanks to WordPress, who have manged it beautifull. I can add some pages navigation to the Primary Menu as well. 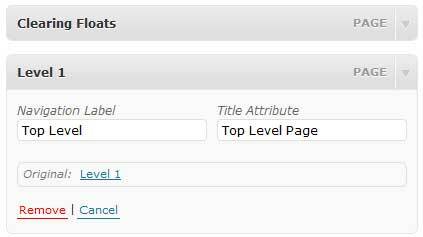 You will see all your created pages in the box labeled “Pages”. Just select your pages and hit the “Add to Menu” button. 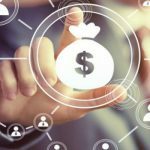 You can add more custom links as you want. Here is the screenshot of Primary Menu after adding Custom Link. I have build a sample items containing categories, pages and links to our primary menu. Please remember, these menu items are not saved yet. So you should click “Save Menu” button to save our menu items. 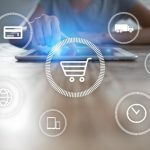 I will explain other extra and important features like change of menu item label, menu re-arrangement, nested menus, and deletion of menu item at the end of tutorial. We have “build” and “saved” our first primary menu but it will not display at the theme yet because we have not assigned a location for our primary menu. As i have discussed at the start of tutorial that different themes may have different theme locations it may be one, two or even more. Chip Zero has two theme locations named “Primary Menu” and “Secondary Menu”. I am going to place our newly created “Primary Menu” to the “Primary Menu Location” of Chip Zero. You can do this via the Menus panel named “Theme Locations”. Select Primary Menu from drop down menu and hit “Save” button. 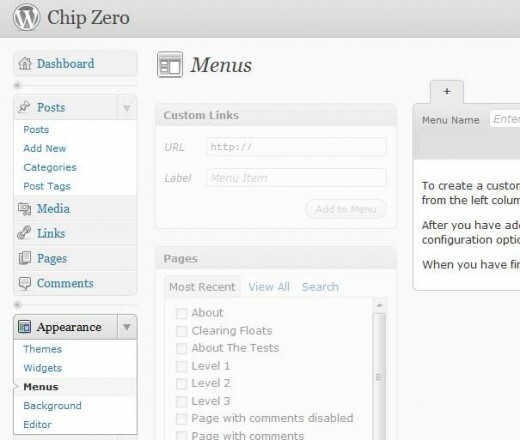 As our theme Chip Zero has two menu locations, so let’s create a secondary menu as well. It is 100% same as of primary menu with one exception. 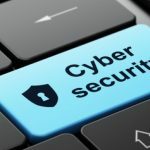 We have to click on “+” link to initiate secondary menu panel. After clicking on “+” button, you will be at the same screen where you was at the Step 3 of the tutorial. Enter the name of your menu like “Secondary Menu” and repeat the steps 4 to 5. You should assign secondary menu to the “Secondary Menu Location” after saving the secondary menu. I have created a sample secondary menu for you. 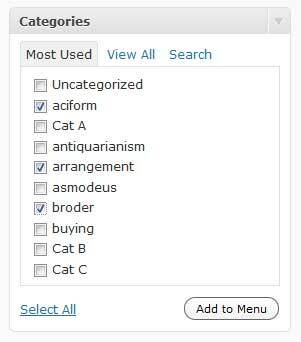 We can change the label of our pre-assigned categories and pages as well. Click on “Drop Down Arrow” to expand the menu item. 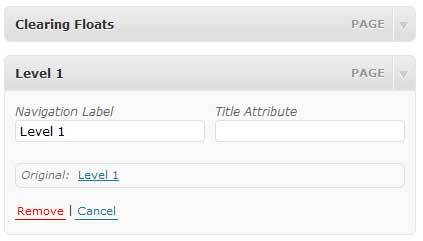 You can change the navigation label of your selected item by entering a new label in “Navigation Label” field. You can assign “Title Attribute” as well. Hit “Save Menu” button after making necessary changes. 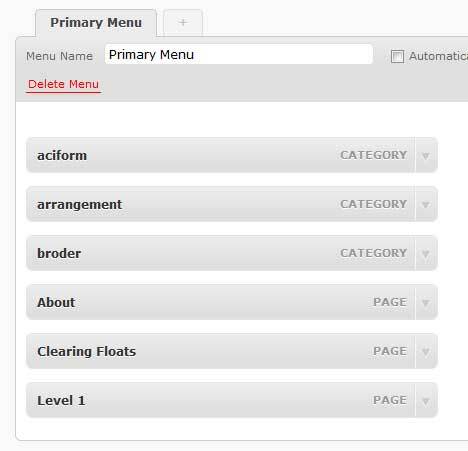 You can build nested menus (Drop Down Menus) by using the “Drag & Drop” power of menu items provided by great WordPress. Let nest the “border” menu under “arrangement” menu. Click and Drag “border” menu item slightly towards right and Drop it on a slightly right to “arrangement” menu item. 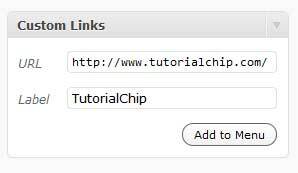 Powerful logic of Chip Zero will convert this nested state in the form of “Drop Down Menu”. Enjoy! Don’t forget to hit “Save Menu” button. We can re-arrange our menu items. Let drag the “TutorialChip” menu item and drop it at the top of menu items. Don’t forget to hit “Save Menu” button. We can remove a menu item from the menu as well. Simply click on the drop down arrow of menu item, and you will notice “Remove” link in red color. Click on “Remove” link to delete menu item from the menu. Don’t forget to hit “Save Menu” button. I hope you have learned a bit, and don’t forget to write your valuable comments. Thanks for the overview. I have a nested menu working using different categories until I realised that the top level items where linking to a redundant page as the top level item should serve just as a header for the subitems to extend from. 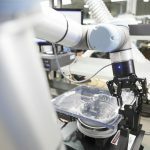 Any idea how this is achieved? Thank you. That was a great help. I’m glad it works like I expected.